Candy Grab Online Slot: Spin Away to Collect Sweet Rewards via Base and Bonus Game Treats! Candy Grab online slot by OpenBet sweetens the candy-theme with chockfull of bonus treats. Enjoy the company of Mr. Gingerbread as he may appear during a random base spin, to award any of 5 Sweet Modifiers. The latter consists of Random Wilds, Wild Reels, a Colossal Wild, a Mega Candy Symbol or a straightforward Big Win. Those who get to join Mr. Gingerbread in the Sweet Board Game will be able to collect Free-Spins, Cash Bonuses or Super Win Spins. 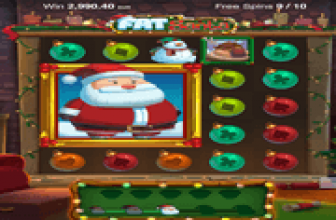 All Cash Rewards are for the players' taking, but the Free-Spins and Super Win Spins are claimable, only if unlocked via the Sweet Board Lolly Wheel or Chocolate Stars. Try to activate any of those bonus features before the huge Marshmallow Man gets hold of Mr. Gingerbread. The Marshmallow will gobble up the Gingerbread fellow, and cut short the Sweet Board Bonus Game. A Red/Yellow Bubble Gum, acts as wild card to help players land on matched groupings on any of 20 paying lines. One or more Wilds aligning with identical icons in the same payline, can complete or lengthen a winning combination. Bubble Gum Wilds can form winning combinations. The longest arrangement formed in a paying line, garners the same pay awarded by the highest paying Candy Grab Logo. A match of 2, 3, 4, or 5 Bubble Gum Wilds occurring as payline win, awards 2x, 50x, 200x, or 500x the Coin Bet. Sweet Wilds – are Random Wilds added to the grid before the spinning reels come to a stop. Sugar Coated Wilds – Instead of adding single-tile Wilds, 2 up to 4 Wild Reels take random positions across the grid before the reels come to a rest. Confection Perfection – A specific Big Win is certain to transpire. The reels will continue to spin until the outcome results to the specified Big Win arrangement. Jumbo Wilds – This modification entails the addition of Colossal Wilds that could bring Big Wins by way of multiple payline combos. Mega Candy – Reels 1, 2, and 3 transform into a giant reel ready to display a mega-sized Candy image. The Mega Candy alone is enough to bring guaranteed wins. Winnings will get bigger if Reels 4 and 5 will have displays of the same Candy icon. A scattering of three or more Bonus Symbols anywhere across the grid unlocks the Sweet Board Bonus Game. The feature depicts a cat-and-mouse play between Mr. Gingerbread and the Marshmallow Man. Participating Candy Grab players have to click on the dice to help Mr. Gingerbread move as far away as possible from the Giant Marshmallow. Otherwise, the latter will gobble up the Gingerbread and end the game, if both figures stop on the same spot. Sweet Board Free-Spins Rounds – During the chase, players can land on board positions awarding free-spins and cash bonuses. Four types of Free-Spins are available. Each type distinguished by a power-up feature such as Roaming Wilds, Sticky Wilds, Wild Reels and Colossal Wilds. However, in order to claim any of the set of Free-Spins collected, a player has to unlock one thru the Lolly Wheel. Winning a round of Free Games will also end the Sweet Board Bonus Game. The Lolly Wheel activates if Mr. Gingerbread lands on a Lollipop Spot. There is a chance though that the Lolly Wheel spin may land on a Cash Bonus instead of a Free-Spins Feature. The Cash Bonus will go to the Sweet Board Cash Pot that collects all monies earned during the chase. Regardless of how the Board Game ends, the current value carried by the Cash Pot will be awarded as Bonus Prize. 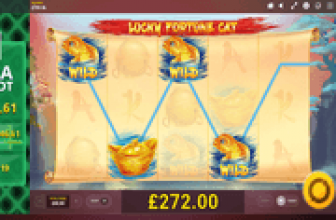 Super Win Spins – As the title denotes, this free games feature is certain to bring significant bonus wins. In order to claim it as Sweet Board prize, Mr. Gingerbread Man has to collect 3 Chocolate Stars by landing on the Super Win Spins spot in 3 separate occasions. 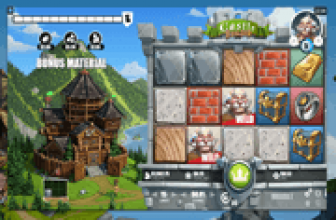 The Sweet Board Bonus Game will likewise end, once a player gets to win this free-spins feature. Candy Grab : Terrific Base Game Modifiers and Multi-Faceted Board Bonus Games! Candy Grab online slot combines icon-matching activities with a Board Game thru which players can win any of 5 sets of Free-Spins, including a Super Win Spins feature. While aiming to land on bonus symbols that will activate the Sweet Board Bonus Game, players' chances of hitting Big Wins will receive an occasional boost from any of 5 Reel Modifiers. The Base and Bonus Game features bring surefire wins, as different types of Wilds such as Roaming Wilds, Wild Reels, Sticky Wilds, or Colossal Wilds, as well as Jumbo Symbols and Mega Symbols may as win-ensuring elements in their respective bonus segment.